"Until I played Bartolini’s, I was never able to find that punch and definition I was looking for! Bartolini pickups and preamps allow you to find any tone you are looking for!" 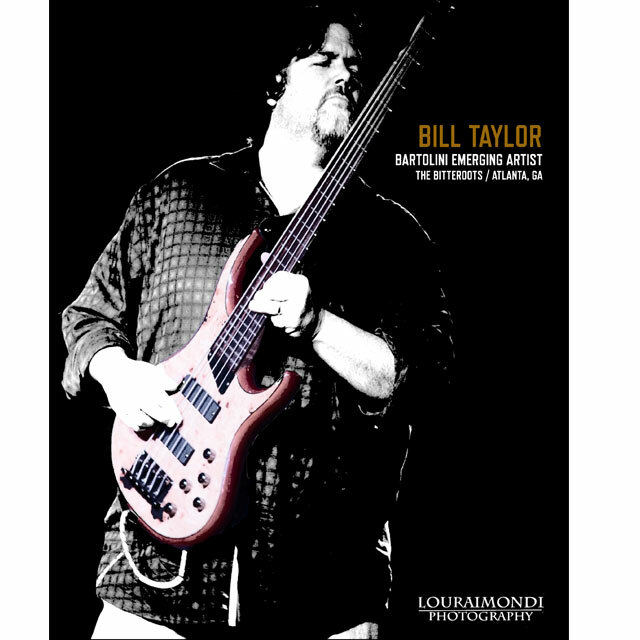 Bill Taylor is a veteran of the Southeastern music scene having played in numerous bands and projects since the late 80's. Bill pulls influences from his long obsession with jam bands and rock bassists, to craft his extended signature improvisational bass lines. Currently holding down the low-end in Atlanta rock/jam band, The Bitteroots, Bill uses his MTD basses loaded with Bartolini pickups and preamps for solid grooves and subtle chording on the band's four original albums, as well as the band's extensive list of shows and festivals both in the Atlanta area and all over the Southeast.